Here are the weigh-in results for UFC Fight Night 79, which will take place tomorrow in Seoul, South Korea. 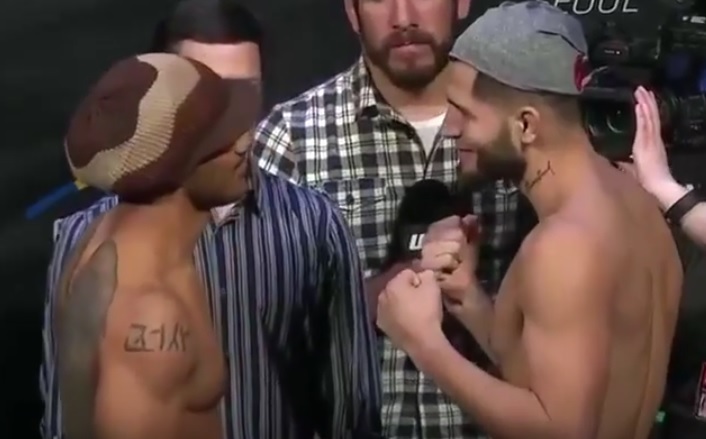 In the main event, Benson Henderson will take on Jorge Masvidal in a welterweight bout. The co-headliner will see welterweight contender Dong Hyun Kim face Dominic Waters. The preliminary card will get underway at 5 AM/ET and will be broadcast on Fight Pass.